The 2018 Women in Business Networking (WiBN) Leadership Conference will feature three leaders from Clark State Community College: Clark State President Dr. Jo Alice Blondin; Senior Vice President for Student Success Dr. Theresa Felder; and Clark State Foundation Director Toni Overholser. 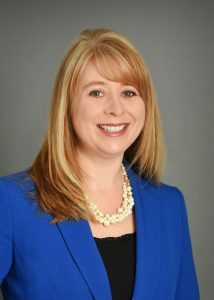 Jo Alice Blondin, Ph.D., became the fifth president of Clark State Community College on July 1, 2013. Prior to Clark State, Dr. Blondin served as chancellor of Arkansas Tech University – Ozark campus and professor of English for seven years, as well as chief academic officer, chief student officer, department chair of English, communication and social sciences. She holds a Ph.D. and Master of Arts in English from Arizona State University and Bachelor of Arts from Purdue University majoring in English with a minor in Spanish. Since coming to Clark State, Blondin has led the development and implementation and revision of a new strategic plan; the creation of a new marketing/branding campaign; the development of employee wellness, safety and mentoring programs; the establishment of Precision Agriculture, Food Science, Manufacturing and workforce programs; a reorganization of the campus to increase student success and completion that has resulted in an increase of nearly 50 percent in state funding for Clark State; secured more than $13 million in state funds for capital and community improvement projects; and received grant funding for Manufacturing, Precision Agriculture, Cybersecurity and youth programs totaling $5 million. During the summer 2016, Clark State embarked on a student-success focused Major Gifts Campaign that has raised more than $11 million to date. Blondin will conduct a session on mentoring at the WiBN Conference. She said the most significant influence for her as a successful business women was the strong, strategic and careful mentoring she received from some special people who had my best interests and personal growth at heart. “I hope that the attendees will realize that the most important aspect of being an effective leader is to be an authentic, transparent and ethical leader,”she said. 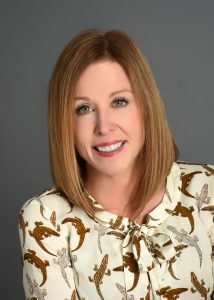 Blondin has been named to the Dayton Business Journal’s BizWomen Power 50 list for five consecutive years and was recently elected to serve on the American Association of Community College (AACC) Board of Directors and the Higher Learning Commission (HLC) Board of Trustees. Dr. Theresa Felder has served Clark State since 2004 in the roles of project coordinator for the Workforce Investment Act youth program, retention specialist for the CareerPlus program, GEAR UP director, academic affairs coordinator for the Greene Center and dean of the Greene Center. She was promoted to senior vice president of student success in May of this year.In 2016 Felder was accepted into the competitive-entry Executive Leadership Institute (ELI). Felder said organizations should ensure their leaders have the ability to monitor their own emotions and understand their impact on others. Attendees will learn: a general understanding of leadership behavioral styles; an understanding of the connection between emotional intelligence and relationship building within an organization; and recommendations for improving organizational climate through effective leadership. Toni Overholser, director of the Clark State Foundation, has been with Clark State since 2014. She has served as Clark State director of business and community development and director of workforce and business solutions. She was also recently named the 2018 Greene County Career Center Friend of Education. Overholser was selected for the award for her long-time commitment to career-technical education and Greene County Career Center as a community leader, education professional and parent of a Greene County Career Center alumnus. She supported the Career Center as president and CEO of the Beavercreek Chamber of Commerce, then as director of workforce and business solutions for Clark State. She is also a longtime member of the Greene County Career Center Superintendent’s Advisory Board. In January of this year, Overholser coordinated the Clark State and Champaign Economic Partnership (CEP) to enhance regional workforce and economic development efforts in Champaign County and the surrounding areas. The Workforce and Business Solutions department is able to provide consulting and workforce services to support Champaign County businesses and economic development partners. The WiBN Leadership Conference is an opportunity for diverse professional women to encourage one another’s growth and empower each other’s success. The conference agenda includes sessions and workshops with dynamic speakers who will help develop the skills and resources necessary to build relationships, expand networks and increase business opportunities through professional and personal growth. The event is designed to provide the knowledge, tools and connections women in all types of professions need to be successful in their businesses, from the corporate world to the nonprofit environment. The annual WiBN leadership conference is sponsored by the Dayton Better Business Bureau and is slated for 8 a.m. to 5 p.m., September 19 at the Holiday Inn by Wright State University, 2800 Presidential Drive in Fairborn, Ohio. Founded in 1962, Clark State Community College has campuses in Springfield, Beavercreek and Bellefontaine, Ohio.Clark State offersthe latest degree and certificate options in more than 125 professional fields. The total economic impact of Clark State on Champaign, Clark, Greene and Logan Counties reached approximately $161 million in 2016. Registration is open year-round, and financial aid is available for those who qualify. The next academic term begins October 15, 2018.The Career You Want. The Degree You Need.